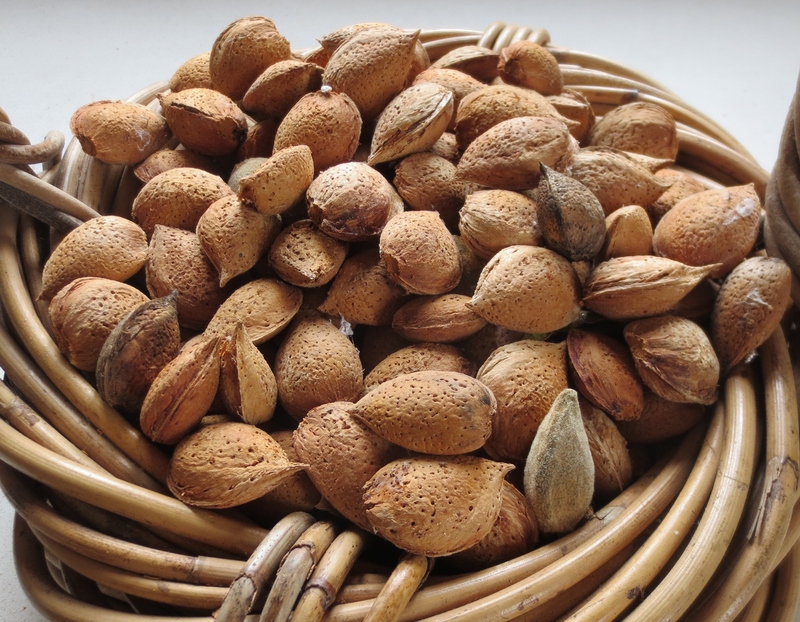 This years almond crop is being harvested and the creamy fresh nuts always make me think of Ajo Blanco, a cooling and delicious soup that is a speciality of the area around Cordoba. 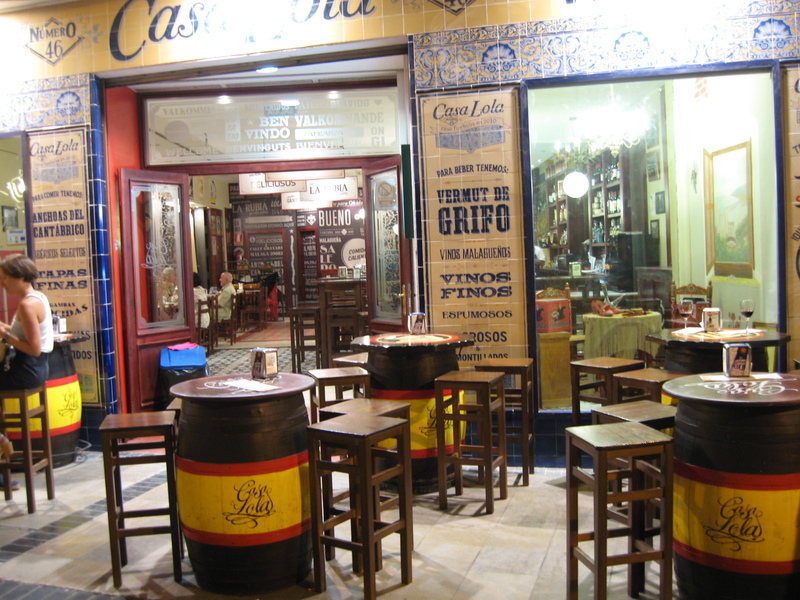 The best one that I was served there was in the restaurant Casa De La Judia in the old town. Pale and smooth with no one flavour dominating and the consistency of a light cream, it was garnished with tiny cubes of sweet apple and halves of white grapes which added to the balance of the flavours. 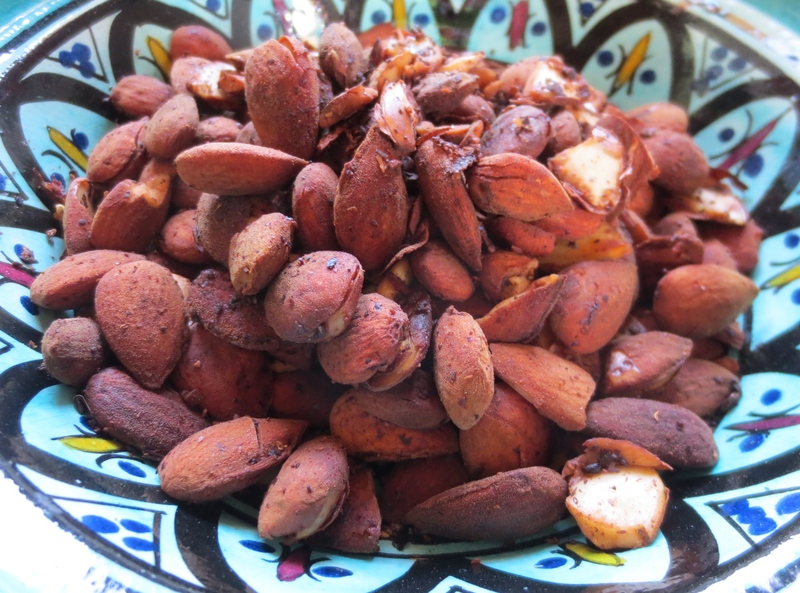 Of course once I got home I had to perfect my own recipe – but you are going to have to wait until the next post for that, firstly I want to use up the few remaining almonds from last year. At some time in the dim and distant past I remember making sugared almonds but with a difference – they had spices mixed into the caramel. They were delicious and I may well make them again, but this time I wanted to include the spices but cut down drastically the amount of sugar used, and I like the mixture of salt and sweet, so I added some salt. Here is the resulting recipe. Firstly we need to toast the spices before grinding them. Put the cloves, allspice berries, coriander seeds and cardamom seeds in a thick based pan and toast them on a low heat shaking from time to time until you can smell the aromas of them starting to be released. Put them in a mortar and grind to a powder. Add the chilli powder, salt and pepper, and mix. Warm a thick based shallow pan on a low heat and add the almonds. Toast slowly moving the almonds around for even browning. After a couple of minutes add the spice mix and continue toasting and stirring. Once the almonds are browned add about a tablespoon or so of water and stir to mix well. This will help the spice and seasonings stick to the almonds. The water may disappear quite quickly, or you may need to continue on the heat until the almonds are dry again. 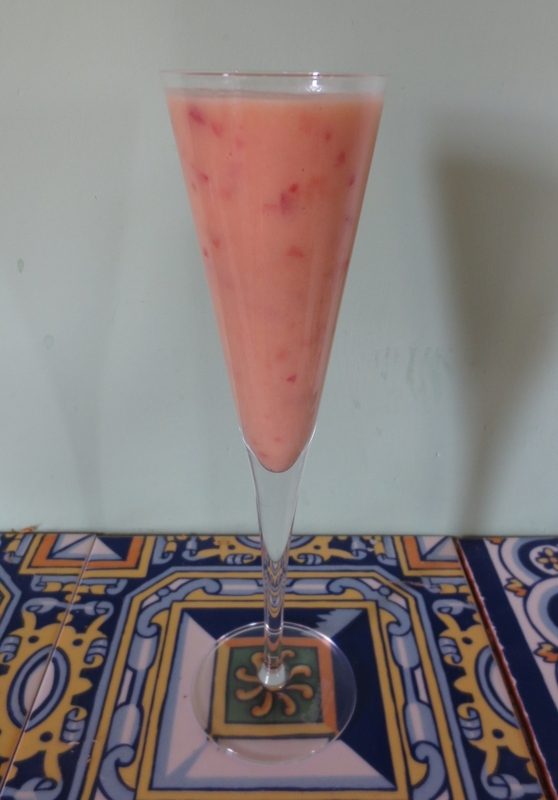 Let cool and serve as an aperitif……. and try not to sample too many before your guests arrive! I don’t generally consider restaurant reviews to be part of what this blog is about, but the food in this vegetarian cafe is so good that it cannot not be mentioned. All the meals that I have ordered here have been so thoughtfully composed, executed and presented. Whoever designs the dishes has a real understanding of how to mix flavours and textures, and never forgets to consider how the components will look on the plate. Today I treated myself to a Mexican breakfast – which I had for lunch. 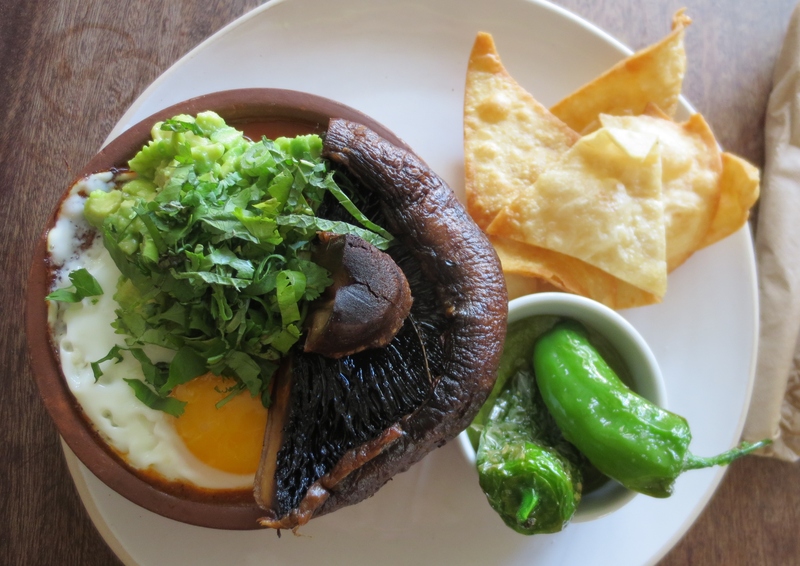 In the little brown pot beneath the grilled half mushroom, fried egg, guacamole and fresh coriander leaves was a rich and spicy tomatoey sauce thick with black and pinto beans, corn kernels, red peppers, celery and onions. There was just enough chilli to give it oomph without overpowering the rest of the ingredients, and it was fragrant with the flavour of garlic and coriander seeds. Below the deep fried Padron peppers in the other pot was a flavoursome but not hot jalapeño purée. The tortilla chips were freshly deep fried and crispy. I look forward to trying their egg and chips, one of the most appetising looking egg and chips that I have ever seen. Served on one of those pasta plates that is like a shallow soup bowl, there is a base of freshly made tomato sauce topped with a stack of fat crispy polenta chips which likewise is topped with a fried egg. I hope it is on the menu next time I visit this restaurant. 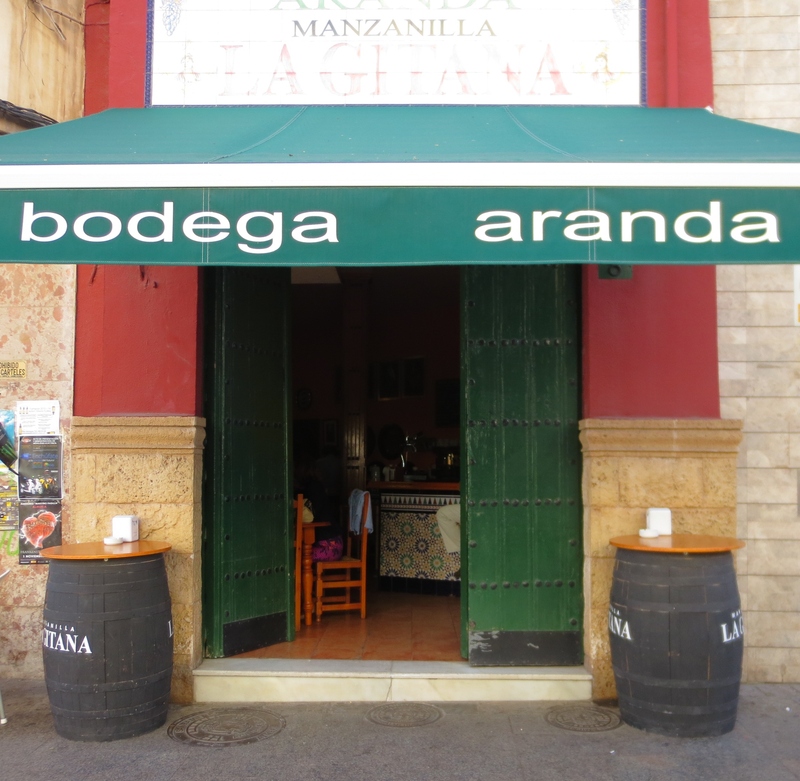 After visiting the central market in Almeria we had worked up an appetite for lunch, and remembered that this ancient tapas bar was not far away. Having installed ourselves at a table we asked the waitress to bring us a selection of what was good at the moment. 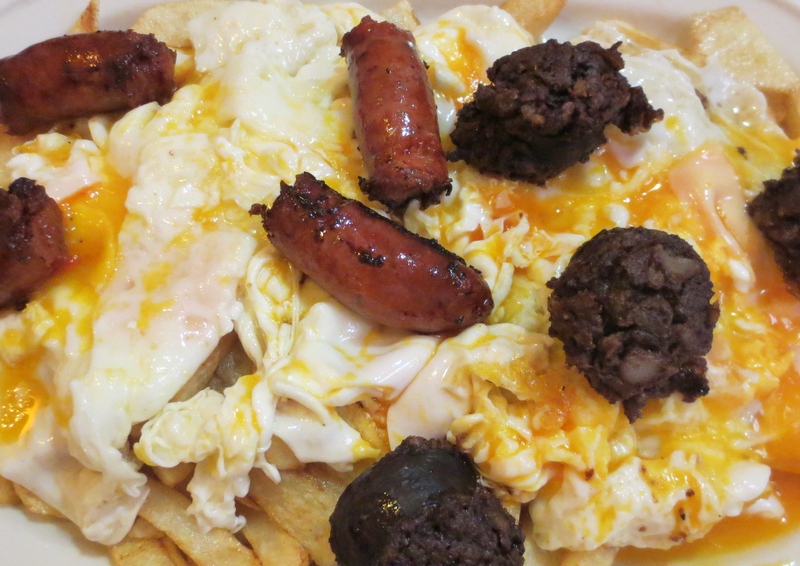 She suggested the house salad, a couple of plates of fish and fried potatoes topped with broken eggs and the local made chorizo and morcilla. Perfect we said, not realising what culinary delights lay behind these simple descriptions. The house salad arrived. 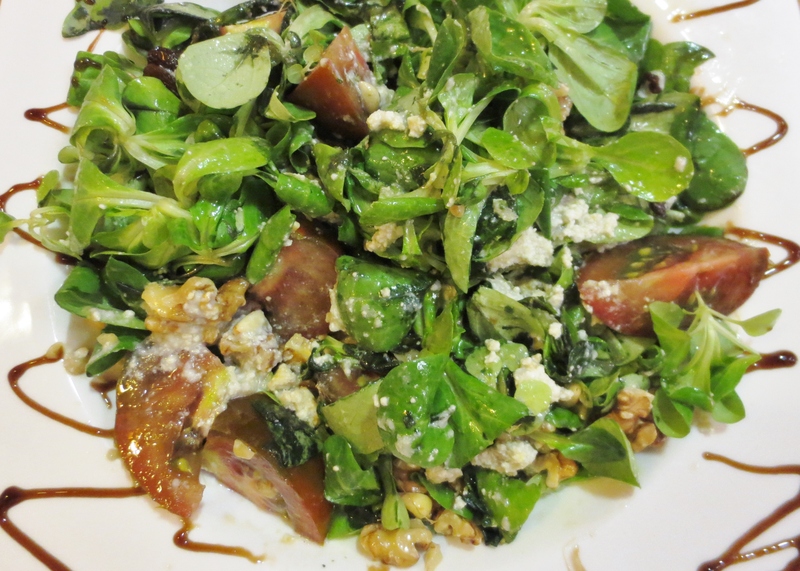 Rich green corn salad, walnuts, pine nuts, raisins, and a halo of tomatoes surrounding a mound of blue cheese ice cream. The waitress had a small bowl of dressing – olive oil and sherry vinegar with seasonings – which she poured over the salad, then she cut the ice cream into pieces and gently mixed it with the salad. It was heavenly. I am working on a recipe for the ice cream – maybe have it perfected for the next post. 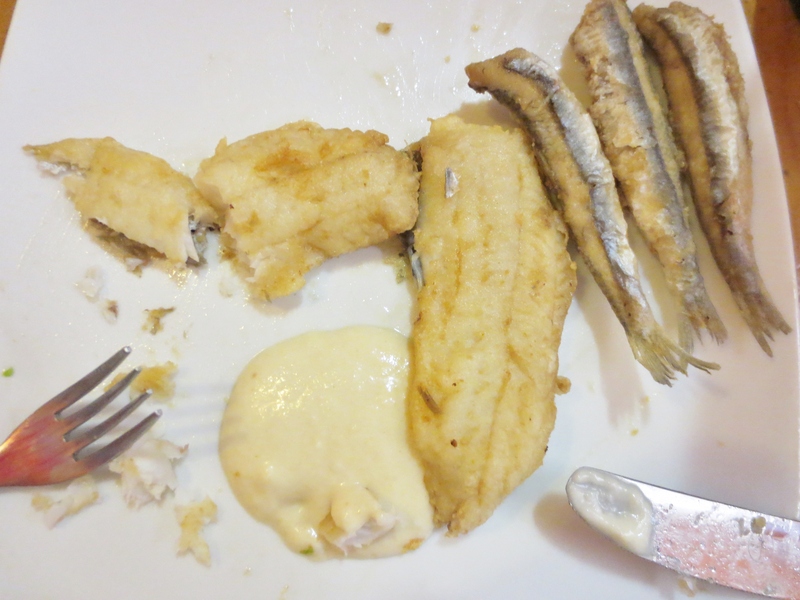 Fillets of baby Cod and Smelts in light batter and fried served with the best Ajo Blanco I have ever tasted. You could taste the slight bitterness of the almonds, a hint of garlic that was not overpowering, the sauce was made smooth with bread and olive oil and balanced with white wine vinegar. 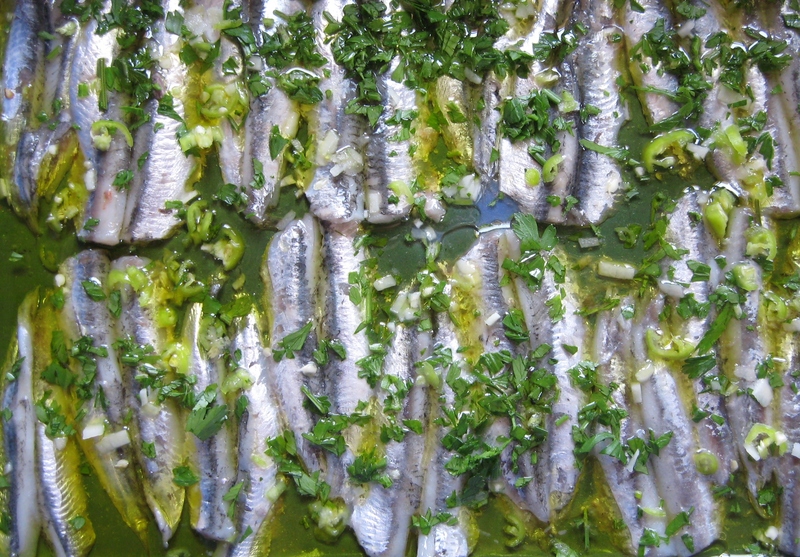 Jureles en Escabeche. 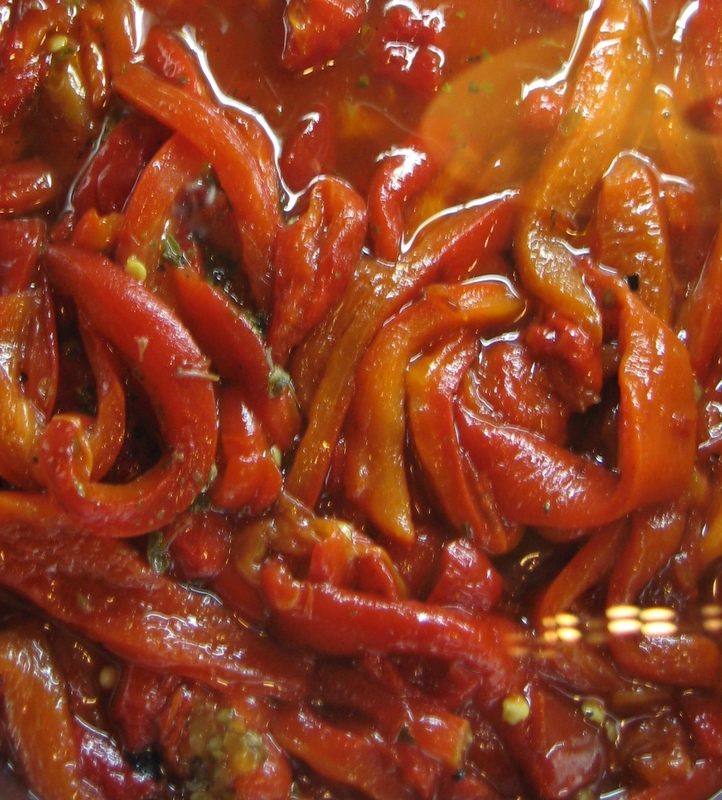 Escabeche is a way of mildly pickling fish. 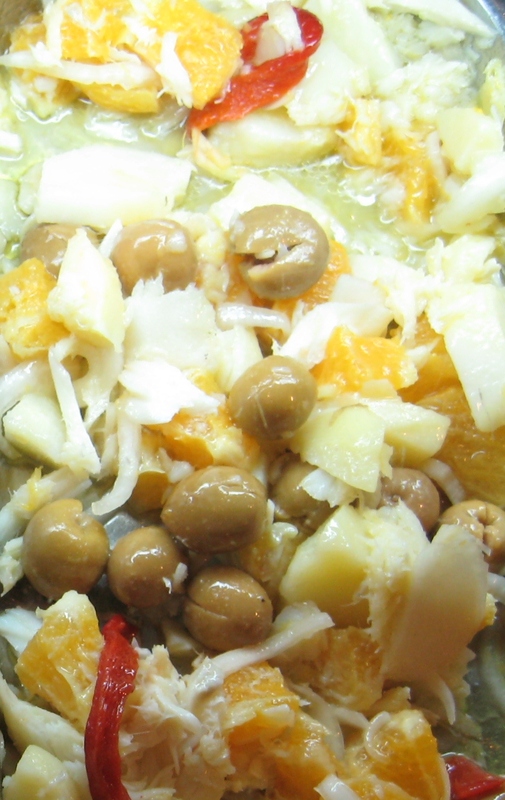 It is gently poached in a broth of olive oil, white wine vinegar and water which is flavoured with onions, peppercorns, saffron and bayleaves. 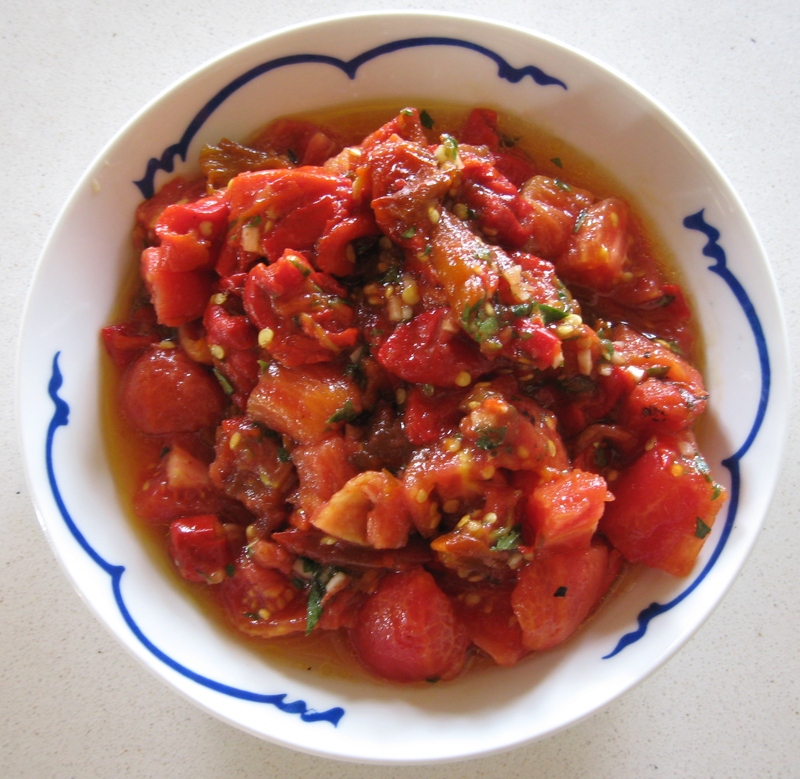 Frequently smoky Pimenton is added as well, but in this dish of small fish it wasn’t needed. Next was the Potatoes with Chorizo, Morcilla and broken eggs. 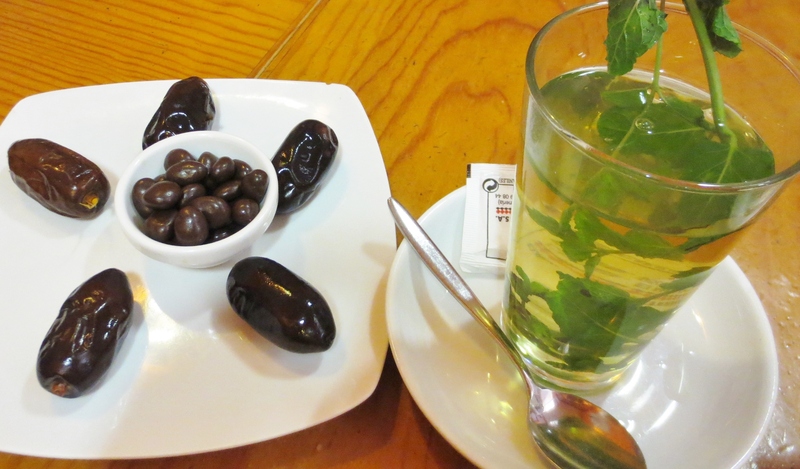 To finish the meal a succulent large date each, dark chocolate covered raisins and mint tea. 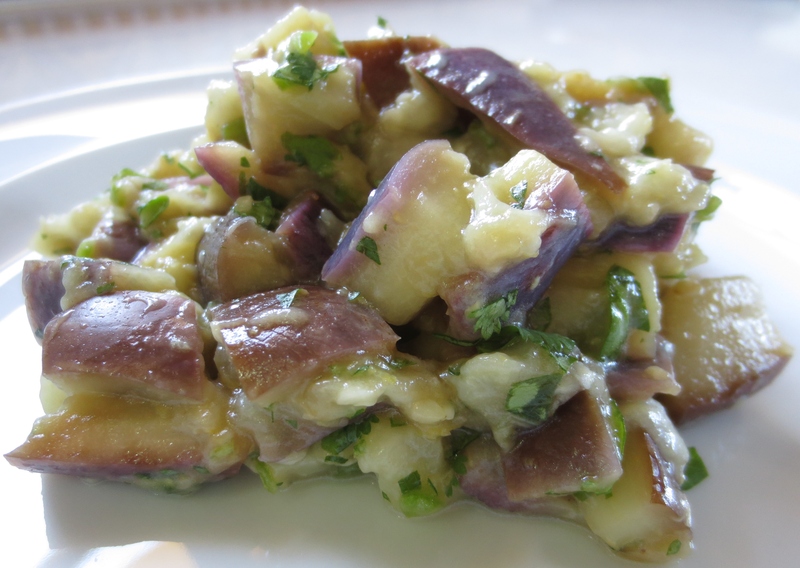 This is one for the boys, namely George and Joe, who both love this aubergine salad recipe. I have been making this salad for so long that I now don’t recall the origin of the recipe. 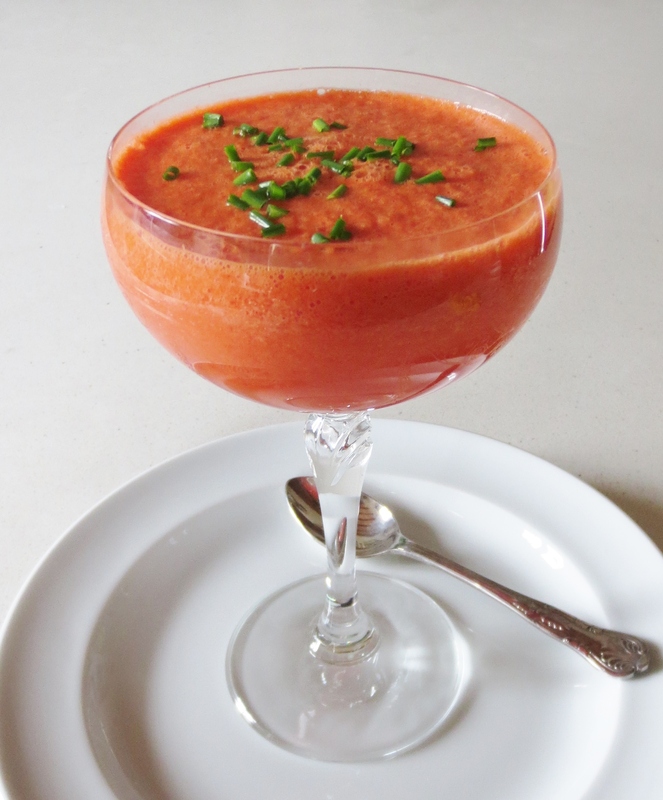 It is equally good as a salad, or puréed in the food processor as a vegetarian pate. The herbs can be changed to vary the flavour depending on taste and what you have available fresh. In the master recipe I have specified Oregano, I also like Coriander or Mint. I have found that the best way to cook the Aubergine for this is in the microwave, although you can roast them if you prefer. Prick the Aubergine all over with a fork to prevent any explosions and put on a plate in the microwave. Cook at full power for two minutes. Turn over and cook for another two minutes. Depending on the size of the vegetables and the power of you microwave they may now be cooked . They want to feel soft all the way through. If they need a bit more cooking, turn them on their side and cook for another minute. They can be turned to the other side and given another minute of cooking if you think that they need it. Let cool until only warm and handleable. Meanwhile toast the cumin seeds in a shallow thick based pan until they are slightly coloured and you can smell their aroma. 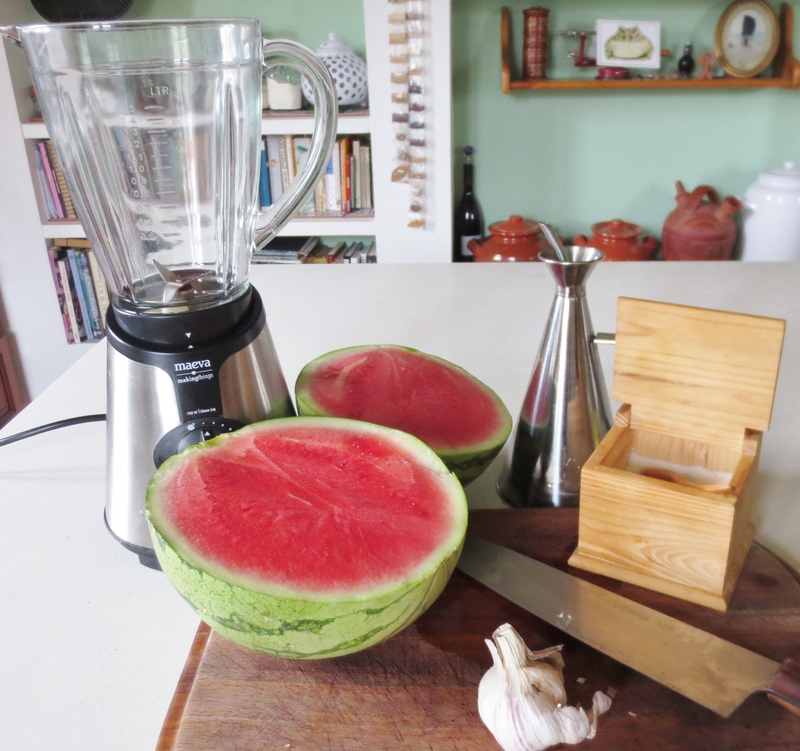 Grind them and the salt with a pestle and mortar. Once the aubergines are cool cut them into small cubes. I grow on the farm a variety of Aubergine called Gandia which has very thin soft skin, so I leave it on, but if the skin is tough remove it before cutting up the flesh. Put in a bowl with the rest of the ingredients and mix well. 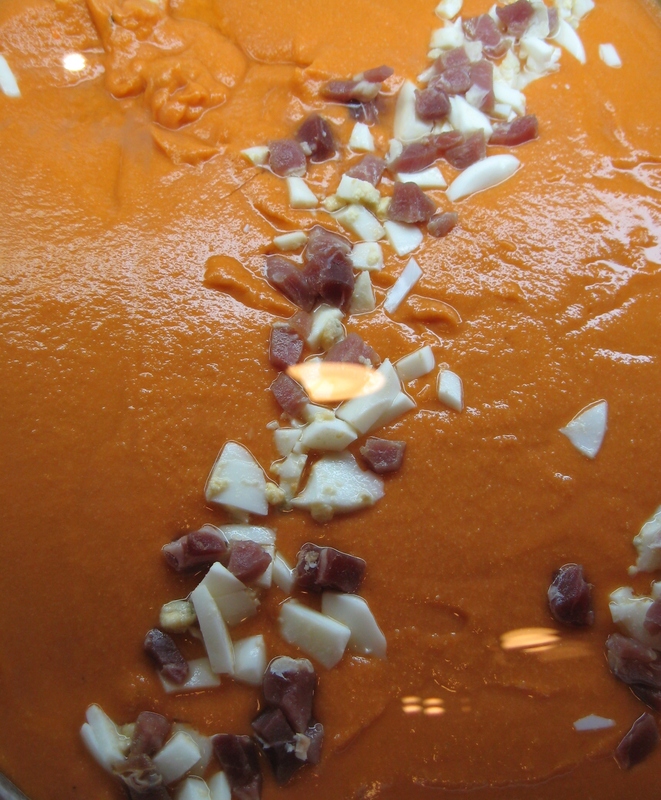 If you are making pate, put all the ingredients in the food processor instead and process to a purée. Leave for an hour at room temperature for the flavours to develop with one another before serving. Mass production has turned this dish into a bland cream, let’s get back to the super tasty dish that it started life as. The deep nutty flavour of the toasted sesame seeds blended with that of the chick peas should be the first to hit the taste buds, then the pungency of the garlic closely followed by the citrus sharpness of the lemon. If you like you can also add some finely chopped fresh coriander to add yet another flavour. Put the sesame seeds in a shallow thick based pan and toast on a low heat shaking from time to time until light brown and giving off their distinctive aroma. Grind to a paste with a pestle and mortar adding the olive oil to moisten as you go along. Drain the chick peas from their liquid and rinse well to wash off the starchy residue. Put in the food processor with the sesame paste, garlic, lemon rind and juice. 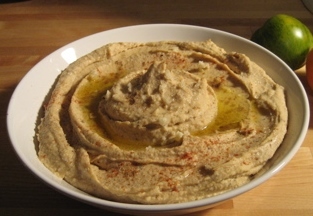 Process to a paste – but not a smooth puree – leave some texture in the chick peas. Add more oil if it seems too dry. Put in a small bowl with the paprika sprinkled over. As some of you may have seen on the news we have been somewhat flooded out here. Thankfully the farm is on its own little hill with good walls holding up the terraces of lime trees, so nothing wandered off. One of my neighbours did lose some of his oranges trees to the torrent. The internet and phone were lost for a few days though, so I am catching up now. The cuisine of a country is like its language, if it stays the same, then it stagnates. The classic tapas of Spain are fantastic, but now with foreign influences and a move away from the heavier dishes that an agricultural society needed, young chefs are experimenting with new flavours and presenting us with some alternatives to the traditional dishes. Here are some of the dishes we tried in Bar La Plaza situated in the Plaza Merced, a couple of doors up from where Picasso was born. This was a creamy puree of roasted aubergine mixed with chopped almonds, and flavoured with garlic, oregano, olive oil and seasoned with salt and pepper. 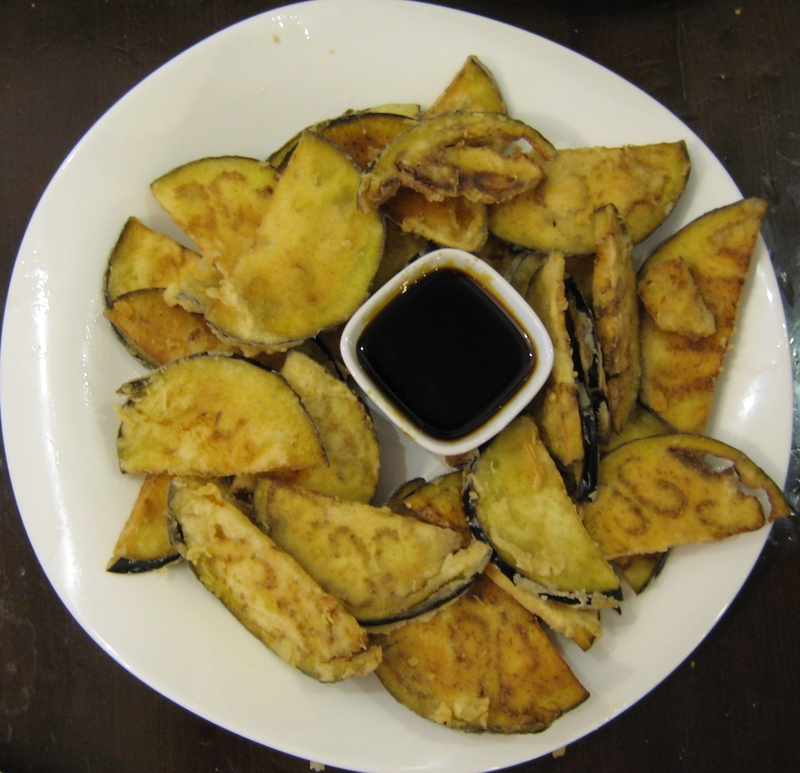 The aubergine can be roasted in the oven or microwaved which is quicker. To microwave you must prick the aubergine all over with a fork to prevent explosions, then cook a couple of minutes on the top heat. Turn and cook again. Keep doing this until the aubergine is cooked and soft. Let cool before removing the flesh and mashing to make the puree. The crisps that it was served with were interesting. I think that they were made from flatbread that was cut into bite sized pieces that were then dusted with the flavourful smoked sweet paprika from Jarandilla La Vera, and then quickly deep fried until crisp. A perfect spicy foil to the creamy aubergine paste. Although not photogenic, these little ribs cooked in a sweet and spicy sauce were very tasty. 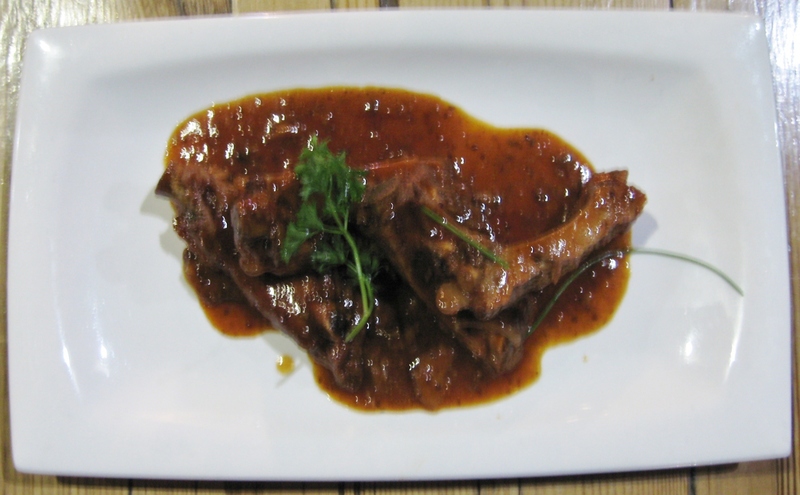 The sauce was made with soy sauce, tomato puree, orange juice and white wine vinegar and flavoured with garlic, ginger, five spice powder, and brown sugar. The classic Moroccan dish in miniature. Little cubes of lamb slow cooked with onions, garlic, cumin and coriander, a little chilli and raisins. Served with cous cous and a yogurt, mint and cucumber relish. A perfectly rare cooked miniature salmon steak served with a creamy sauce flavoured with Anis Dulce de Chinchon, Spains answer to the Pastis of France and garnished with fennel fronds. 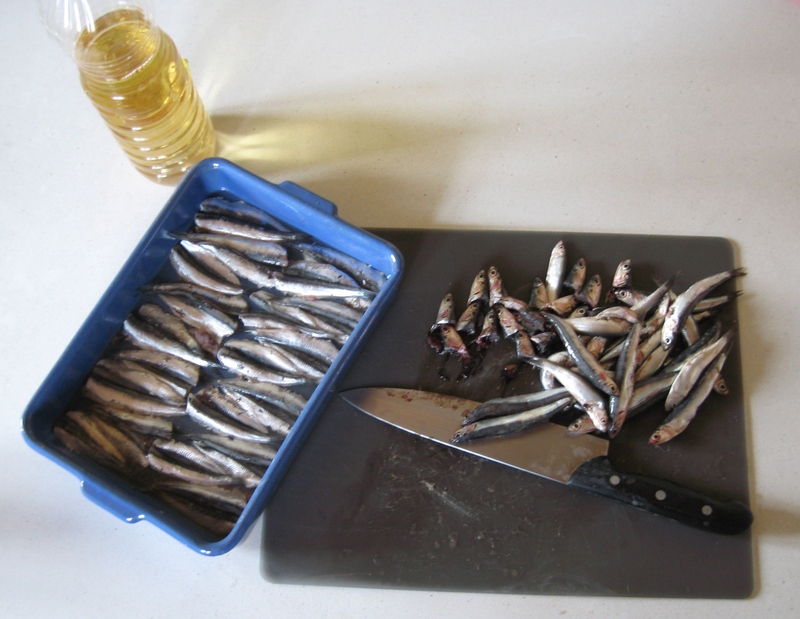 ……..or Smelts in Vinegar. 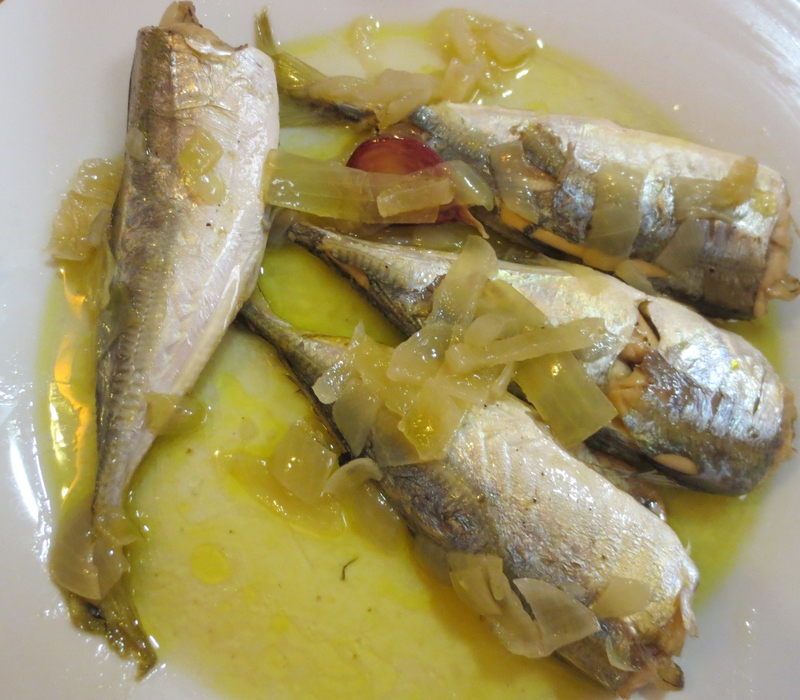 The word Smelt does not excite the imaginary palate in quite the same way as the word Boqueron. I assume its origin is from the word boca which translates as mouth and that Boqueron means a mouthful. 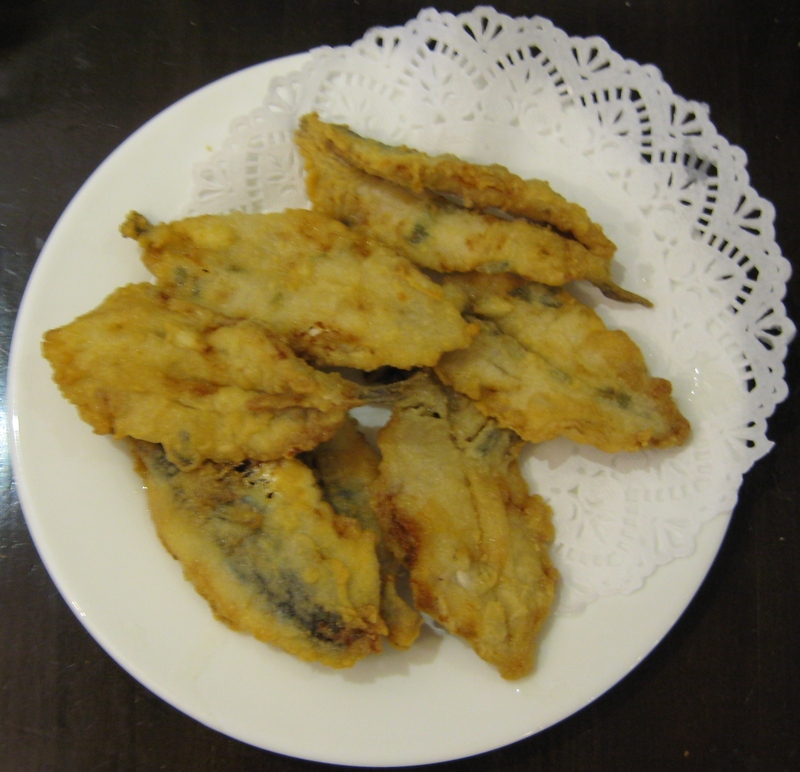 And a delightful mouthful it is, whether dusted with flour and fried whole or marinated in vinegar as in this recipe which I was describing to my friend Andy while in France last week, and so it brought it to mind to share with you too. 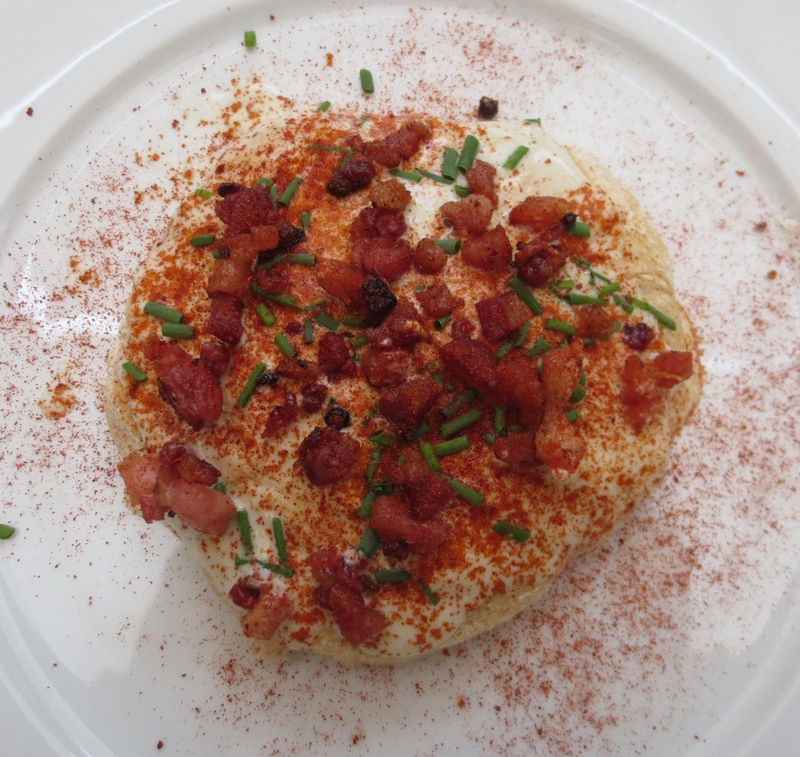 This is regularly served as a tapa in Spanish bars. A couple of the fish will be presented atop a slice of fresh stick bread and sometimes with a good dollop of Allioli between the bread and the fish. Cut the heads off your fresh smelts and open them out flat by opening along the belly and moving the flesh away from the bones on one side. There is no need at this point to remove the bones or the guts. In a shallow dish that will take all the fish in one layer, pour enough white wine vinegar to cover the bottom of the dish. Lay the fish with the flesh side down into the vinegar. Continue with all the fish putting them neatly side by side in the vinegar and then add more vinegar to just cover the layer of fish. Put in the fridge for an hour so that the vinegar can ‘cook’ the fish. Remove the fish one by one from the vinegar and remove the bones and guts. Lay in a clean dish. When you have done them all, pour over a generous amount of extra virgen olive oil and season the dish with finely chopped garlic and parsley. I added some chopped fresh green chillis as well, which are not traditional, but I like a bit of spice with my fish. 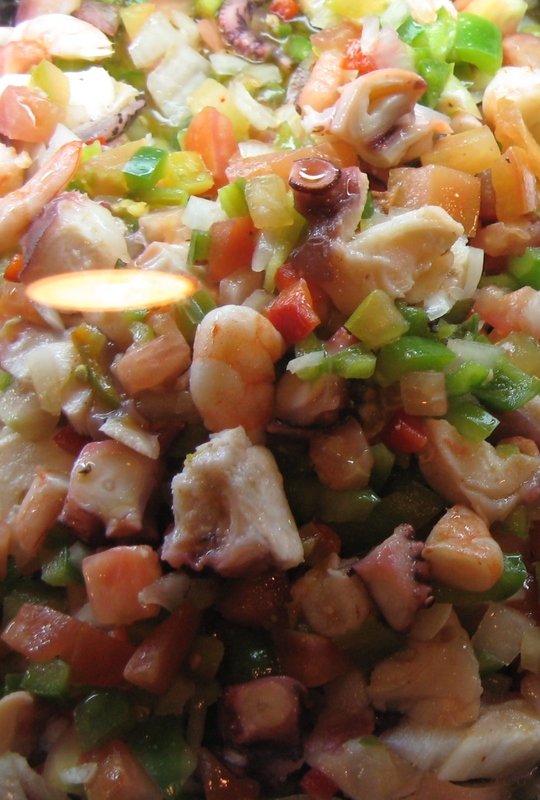 Having a lime farm, and consequently having a lime or two lurking about, I have used lime juice in place of the vinegar in this recipe which works very well and makes it more of a Ceviche, especially if you substitute fresh coriander for the parsley. Lemon juice should work too, although I haven’t tried it. Put back in the fridge for half an hour or so for the flavours to develop and then serve with fresh bread. 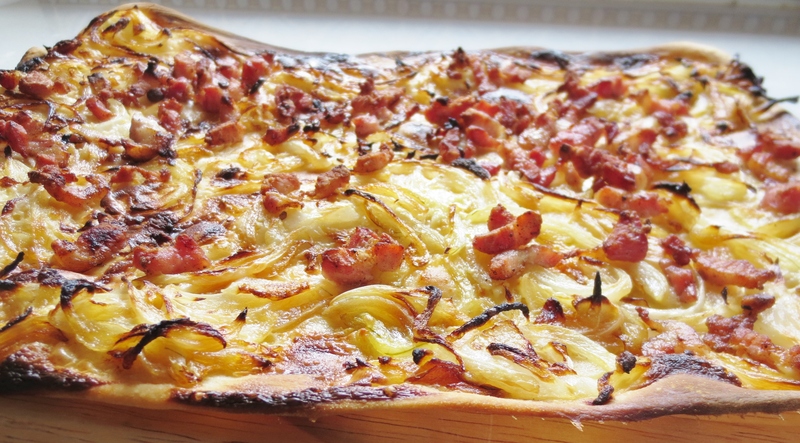 This is one of those wonderfully successful recipes that have been created by a problem. In the hot summers of southern Spain, the skins of vegetable fruits become very tough and unpalatable, so skinning them for salads is essential. So a salad was created that consisted of skinned tomatoes and red peppers, garlic, olive oil, fresh oregano and salt. The the sum of the parts becoming greater than the individual items. The ideal is to char the skin of your vegetables over an open fire or barbeque so that you get a subtle smokey flavour to the salad. It is just the thing to do on that barbeque fire that is now at its peak, now that you have finished cooking the meal. But to do that requires planning ahead and having the tomatoes and peppers already in the house. Life is not always ideal so in the event that you don’t have a fire available, then the tomatoes and peppers can be held over a gas flame turning them slowly until the skins blacken all over. 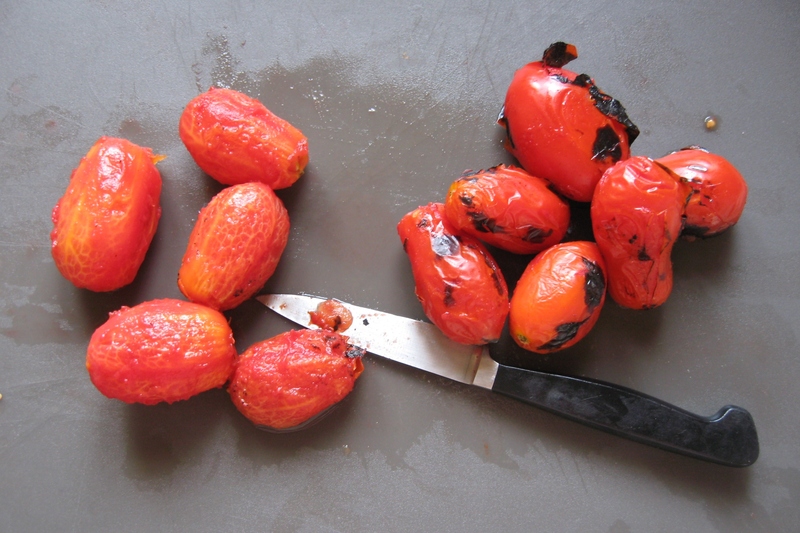 The skin on the tomatoes will split when cooked enough to peel. The red peppers need to be really quite black before they will peel easily. It is almost impossible to have them too black. Put the peppers to cool in a covered plastic container to help retain the moisture in the fruit. Peel the vegetables as soon as they are cool enough to handle retaining any juice that comes out of the peppers. Cut into bite sized pieces and put in a dish with the pepper juice. Very finely chop a clove of garlic and add to the salad. Season with salt, a generous amount of extra virgin olive oil and plenty of chopped fresh oregano. 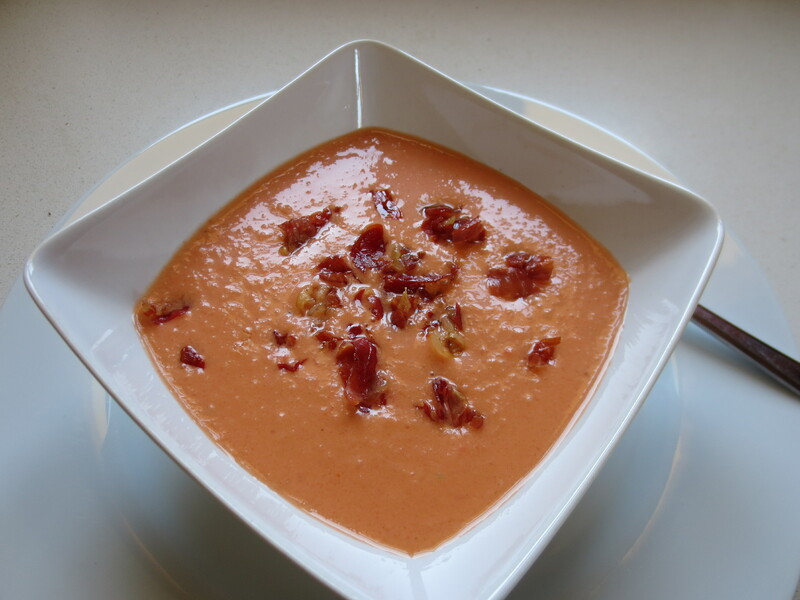 Leave – not in the fridge – for about an hour for the flavours to meld before serving.